Optiqua EventLab is a solution for real-time monitoring of water quality in networked applications such as drinking water distribution networks. EventLab is designed for deployment as a high density sensor network, with distributed sensor nodes connected to a central server for data collection and processing. EventLab provides a generic approach to monitoring quality and event detection by measurement of the refractive index and changes therein. A network of EventLab systems allows online detection, localisation and (back) tracing of water quality issues, providing the real-time information required for a timely and effective response. Furthermore, stand-alone EventLab sensors can also be used at treatment plants, for intake protection and in bulk water supply exit / entry point control applications. 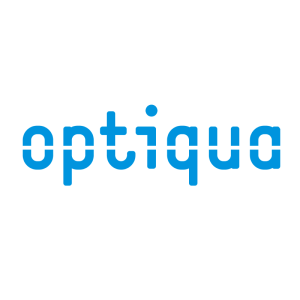 Optiqua EventLab is optimised for deployment as a network of sensors to monitor the drinking water distribution network. The major components of the EventLab early warning system are an optical refractive index sensor, data transmission infrastructure and software for data analysis and event detection. The sensors are easy to install, requiring minimal on-site infrastructure, and low in maintenance. Measurement data is transmitted from the monitoring stations to a central data server through cellular networks (2G, 3G), or alternatively can be transferred through SCADA. The ease of use in combination with wireless data communication allow for a distribution network wide Early Warning System. Data analysis and event detection is performed by algorithms in a central data collection and analysis software: EventLab Online. EventLab Online uses advanced software algorithms to analyse the baseline data and automatically pick-up and flag abnormalities. The data and the analysis results are available to the user through a web based user interface as well as an XML based application programming interface for machine to machine communication. * Continuous real-time detection of water quality events. * One generic sensor covers the full scope of all possible chemical contaminations. * Improves response time and reducing customer complaints. * Optimised for use in high density sensor networks. * Detect, track and trace water quality issues throughout the distribution network. * Advanced algorithms for event detection. * Optical measurement method ensures robustness and long term stability. * Low cost & low maintenance (no consumables). * Automatic cleaning system prevents (bio)fouling on the sensor (optional). EventLab is a solution for real-time monitoring of water quality for example in drinking water distribution networks, treatment plants, water intakes. EventLab is a generic water quality monitor, using refractive index to detect any type of chemical water quality change. Data analysis and event detection is performed by algorithms in a central data collection and analysis software which uses advanced software algorithms to analyse baseline data and automatically pick-up and flag abnormalities.